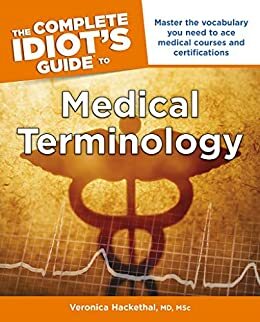 - A logical system for understanding how medical terms are put together, giving the building blocks for deciphering any term encountered. - An outline of each of the body's systems illustrated with quality diagrams and anatomical renderings to teach terms in context. - An explanation of the body's physiology and the terms that describe how the human body functions. - A primer on terms describing diseases, injuries, and conditions that are treated by doctors. - Outlines of terms related to the most common diagnostic tests and procedures. I've been hoarding Med Term books .. and while most of them are exactly the same material (slight wording change), this book is DIFFERENT. In a good way. It's clear language, solid information, and delivered in a useful order (there is so much to learn, the order of it matters). A good buy. Buy it if you can! Makes understanding much clearer, had originally gotten from the local library and decided it was worth purchasing. Glad to have this book. Have found some information I did not know. Great to be able to find at my fingertips. 5.0 颗星，最多 5 颗星I Love These Idiot's Guides!